An update about the next PUPOL conference. Kia ora from a sunny Wellington, New Zealand! We are delighted to announce that we have received over 40 paper submissions for PUPOL 2019. The call for papers is now closed. Authors of the 36+ papers that have been accepted have now all been contacted and registrations are under way. Academic institutions from across the globe – 16 countries – will be represented at this conference. Countries represented include: Australia, Canada, UK, The Netherlands, America, Germany, The United Arab Emirates, Italy, Sweden, Poland, Indonesia, Pakistan, Sri Lanka, The Philippines, South Africa and of course New Zealand. The conference is being hosted by The Brian Picot Chair in Ethical Leadership at Victoria University of Wellington, New Zealand and will be based on the University’s Marae (Maori meeting house). We look forward to sharing more news and information next year! Did you miss the 3rd International PUPOL Conference? Or did you also enjoy participating in it? You can now read Prof. Jean Hartley‘s article that comes from her excellent keynote speech of the conference and that has just been published in the International Journal of Public Leadership. Kia Ora! We are proud to announce that the fourth PUPOL International Conference will take place on 11-12 April 2019 at the Victoria University of Wellington, New Zealand. The conference theme will be “Collaborative leadership for a sustainable future“. More details about the conference, key dates and programme can be found here: www.victoria.ac.nz/ethical-leadership. We look forward to welcoming all of you in Wellington – the coolest little capital in the world! 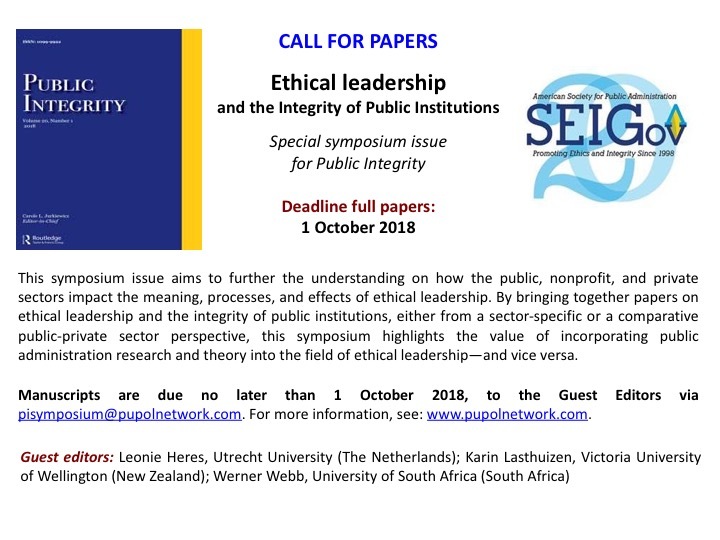 Call for papers for special symposium Public Integrity – Ethical Leadership and the Integrity of Public Institutions. For the full text of this CfP, click here: special-issue-cfp-flyer_ethical-leadership_2018! The final deadline for registration and submission of papers for PUPOL’s third international conference is 15 March 2018. 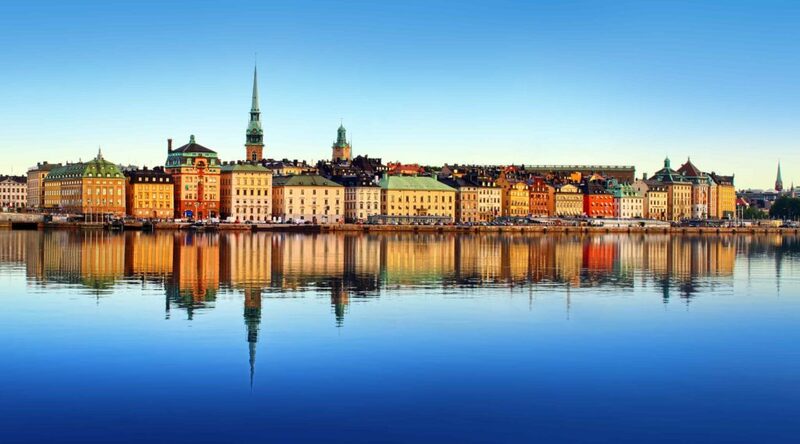 Set to take place at The Swedish Defence University in beautiful Stockholm, this year’s conference promises to be yet another eventful gathering of scholars in public and political leadership from around the world. This year’s conference theme is ‘Leadership in a Changing Environment‘.